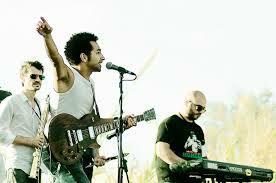 Jammit The Band have spread true sincere vibrations of Reggae and Ska for the past six years. Although world music tops their description, yet the demanding bass grooves by their bassist Pascal Sarkis, and Rany Mikhael’s (lead vocal and guitar) old strings sounds produce unique Reggae and Ska compositions. Soldiers, Reggae for Lincoln, Kings and Queens are some of their great songs. On different stages, several outstanding drummers like, Jihad Said, Fouad Afra, and Gio Najarian, joined and supported Jammit’s music, to seal up the groove. Best enjoyed along the Mediterranean coast at sunset, yet this group has inspired many in all of their performances, from a small stage to a big one. “One Love One Aim One Destiny” is carried as a message along this formation, from the heart beating streets of Beirut.